"Richard Nixon, who was born a century ago, cast a long shadow over U.S. politics, arguably reaching to the anything-goes tactics of today’s Republican Party. His admirers want to reverse history’s negative judgment but perhaps the Nixon centennial can finally allow for recognition of Nixon’s dirtiest trick, says Robert Parry. "This year’s centennial of Richard Nixon’s birth has brought some of his old guard out the shadows in what amounts to a last-ditch battle to refurbish his reputation by stressing the positives of his five-plus years in the White House. Thus, there is much talk of Nixon’s opening to China and the Environmental Protection Agency as well as favorable comparisons between the relatively pragmatic Nixon and today’s crop of ideological Republicans. "However, this rehabilitation – led by the likes of Nixon’s National Security Adviser Henry Kissinger and daughter Julie Nixon Eisenhower – ignores a darker side of Nixon’s legacy, how he helped shape the behavior of the modern GOP, bequeathing a win-at-all-cost ethos that still resonates, from the crypto-racism of his Southern Strategy to his dirty election tactics in both 1968 and 1972. "There is a direct lineage from the thinly veiled racism directed toward President Barack Obama today and Nixon’s coded appeals to unreconstructed white segregationists in the South four-plus decades ago – and between Republican efforts at election rigging now and Nixon’s gaming the system through the sabotage of President Lyndon Johnson’s Vietnam peace talks in 1968 and the Watergate chicanery in 1972. "Simply put, some of the ugliest tactics of the modern Republican Party can be traced to Richard Nixon. Indeed, he could be viewed as providing the DNA for today’s GOP operatives who make quasi-racist appeals to white Southerners and who seek to suppress the votes of blacks and other minorities. "And arguably, the granddaddy of all electoral dirty tricks occurred in 1968 when Nixon’s presidential campaign went behind President Johnson’s back and got the South Vietnamese government to boycott Paris peace talks just as Johnson was on the verge of bringing the bloody Vietnam War to an end. "The evidence of this maneuver is now overwhelming, both from U.S. Archives and from personal accounts of South Vietnamese and GOP participants. Still, it remains one of those thoroughly unpleasant chapters of U.S. history that even Nixon’s critics in the mainstream media hesitate to mention. "Indeed, one of the remarkable elements of the mainstream treatment of the current Nixon rehabilitation campaign is how the Watergate scandal is raised briefly to counter the pro-Nixon spin but only in the most antiseptic ways. "It’s as if the declassified records from the past several decades never were released regarding Nixon’s 1968 caper and the fuller history of Watergate. 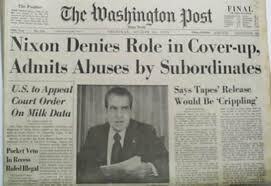 We’re back to the narrow understanding of Watergate that prevailed at the time of Nixon’s resignation in 1974, that he had participated in the cover-up, but knew little or nothing about the actual crime. "For example, we now know that President Johnson ordered his national security aide Walt Rostow to remove from the White House the top secret file on Nixon’s sabotage of the Vietnam peace talks and that Nixon – after learning of the file’s existence from FBI Director J. Edgar Hoover – ordered Kissinger and White House chief of staff H.R. 'Bob' Haldeman to conduct a search for this missing file. "Though Kissinger and Haldeman were able to recreate what was in the file, they failed to locate the actual file, a situation that grew critical in Nixon’s mind in June 1971 when he saw the impact of the New York Times’ publication of the Pentagon Papers, which recorded the Vietnam War deceptions from 1945 to 1967, mostly by Democratic presidents. "But Nixon knew something that few other people did, that there was a sequel to the Pentagon Papers, a file containing wiretap evidence of what Johnson had called Nixon’s 'treason,' i.e. the story of how the war was prolonged so Nixon could gain a political advantage over Vice President Hubert Humphrey in 1968. 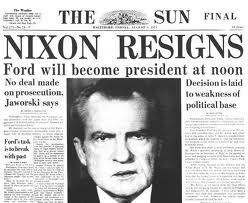 If the missing file surfaced prior to Election 1972, Nixon almost surely would have faced defeat if not impeachment. "So, according to Oval Office tape recordings – released in connection with the Watergate scandal – Nixon on June 17, 1971, ordered a renewed effort to locate the missing file. One of Nixon’s aides believed the file was hidden in the safe at the Brookings Institution, leading Nixon to order a break-in at Brookings to recover the file. "About two weeks later, Nixon proposed having ex-CIA officer E. Howard Hunt set up a special team to conduct the Brookings break-in, which apparently never took place although Hunt did organize a team of burglars whose political spying was exposed on June 17, 1972, when five of its members were caught inside the Democratic National Committee at the Watergate complex. "Mainstream journalists and many historians still prefer to treat Watergate as something of a one-off affair driven by Nixon’s political paranoia, not from his understandable fear that his 1968 campaign’s actions, which extended the Vietnam War for political gain, might be exposed with devastating consequences for his reelection in 1972. "By June 1971, when Nixon ordered creation of Hunt’s team to search for the missing file, the war was ripping America apart as thousands of body bags with dead American soldiers continued to come back from Vietnam, as another million or so Vietnamese died, and as the war spread into Cambodia. "Perhaps, if nothing else, the centennial commemorations of Nixon’s birth on Jan. 9, 1913, will allow for this fuller – and darker – understanding of Nixon’s legacy. "From 'The Nazi Hydra in the United States' page 241, apparently using Time Magazine’s 1994 obituary of Richard Nixon as a source, quoted Nixon as telling a supporter of then Congressman Jerry Voorhis “Of course I knew Jerry Voorhis wasn’t a communist, but I had to win. That’s the thing you don’t understand. The important thing is to win.” (source #51 which appears to be:http://www.time.com/time/magazine/archive/1994/940502/940502.cover.obituary.html) which does not contain the article, but for those with Universities nearby the magazine may be available. "This policy of winning at any cost appears to be still in the playbook of the Republican Party which has throught its legislative control of State Governments Gerrymandered Congressional Districts so that majorities of populations within states elect a minority of the Congressmen, and now the Republican Party has mentioned the possibility of changing the Electoral College so that they can win the Presidency with a minority of the votes of voters. "On pages 244 to 245 of 'The Nazi Hydra in America' is the claim that American oil men informed Secretary of the Interior Ickes that the price to the American government for the oil necessary to carry out the D-Day invasion would be $1.05 a barrel, almost double the price of oil per barrel at the time. The American oil men made a profit of $120 million on a $1 million investment and paid no taxes on that profit as they had registered their company in the Bahamas. "Investigative Journalist George Seldes said the big boys are immune from prosecution. "Well, it seems that some things never change. "On March 3, 2011 – Former US Secretary of State (1973-77), Henry (Heinz) Kissinger, sent a letter to US President Barack Obama asking him to pardon the convicted Jewish-American spy, Jonathan Pollard. Pollard is in prison since 1985. "1.The deliberate mass killing of civilian populations in Indochina. "2.Deliberate collusion in mass murder, and later in assassination in Bangladesh. "3.The personal suborning and planning of murder, of a senior constitutional officer in a democratic nation – Chile – with which the United States was not at war. "4.Personal involvement in a plan to murder the head of state in the democratic nation of Cyprus. "5.The incitement and enabling of genocide in East Timor. "6.Personal involvement in a plan to kidnap and murder a journalist living in Washington, DC. 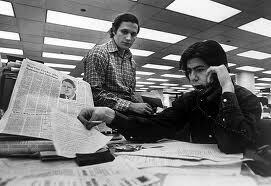 "Today, much more than when we first covered this story as young Washington Post reporters, an abundant record provides unambiguous answers and evidence about Watergate and its meaning. This record has expanded continuously over the decades with the transcription of hundreds of hours of Nixon’s secret tapes, adding detail and context to the hearings in the Senate and House of Representatives; the trials and guilty pleas of some 40 Nixon aides and associates who went to jail; and the memoirs of Nixon and his deputies. Such documentation makes it possible to trace the president’s personal dominance over a massive campaign of political espionage, sabotage and other illegal activities against his real or perceived opponents. "In the course of his five-and-a-half-year presidency, beginning in 1969, Nixon launched and managed five successive and overlapping wars — against the anti-Vietnam War movement, the news media, the Democrats, the justice system and, finally, against history itself. All reflected a mind-set and a pattern of behavior that were uniquely and pervasively Nixon’s: a willingness to disregard the law for political advantage, and a quest for dirt and secrets about his opponents as an organizing principle of his presidency. "Long before the Watergate break-in, gumshoeing, burglary, wiretapping and political sabotage had become a way of life in the Nixon White House. "What was Watergate? It was Nixon’s five wars. 1. The war against the antiwar movement. 2. The war on the news media. 3. The war against the Democrats. 4. The war on justice. 5. The war on history. 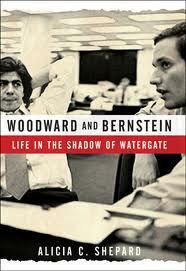 "The Watergate that we wrote about in The Washington Post from 1972 to 1974 is not Watergate as we know it today. It was only a glimpse into something far worse. By the time he was forced to resign, Nixon had turned his White House, to a remarkable extent, into a criminal enterprise. "On the day he left, Aug. 9, 1974, Nixon gave an emotional farewell speech in the East Room to his staff, his friends and his Cabinet. His family stood with him. Near the end of his remarks, he waved his arm, as if to highlight the most important thing he had to say. "His hatred had brought about his downfall. Nixon apparently grasped this insight, but it was too late. He had already destroyed himself." 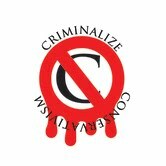 Few additional comments are needed except to note that we've spent countless billions of dollars and wasted millions of lives due to the criminality of the vast right-wing criminals that infest the GOP, and that the only way to stem their activities is to criminalize them, to make the criminal cartel known as "Conservatism" illegal, and to restore our country back on the road to democracy that the New Deal left unfinished."